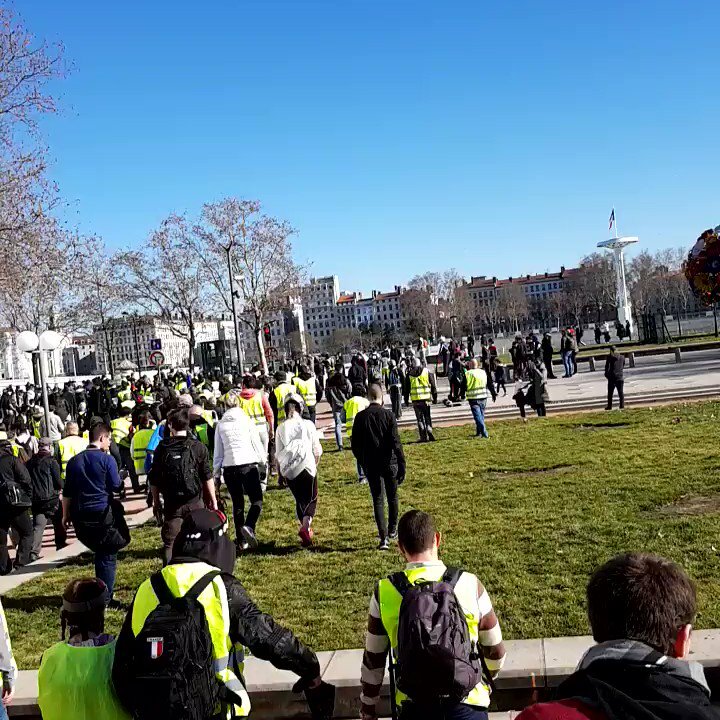 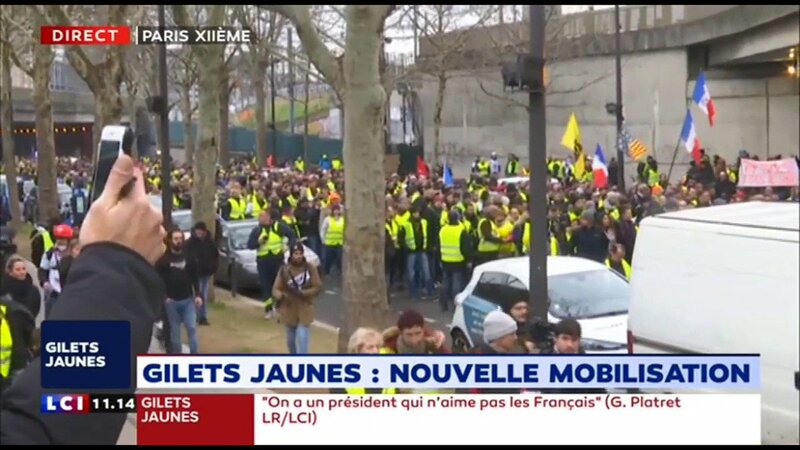 Covering the #GiletsJaunes protests across France, now in their 20th week. 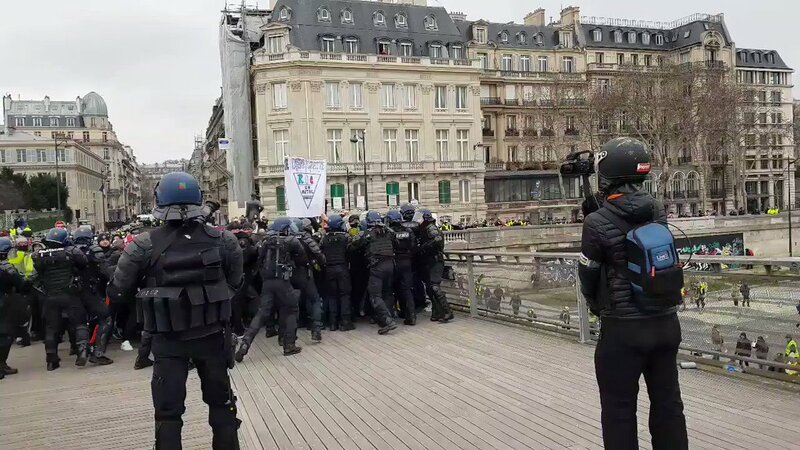 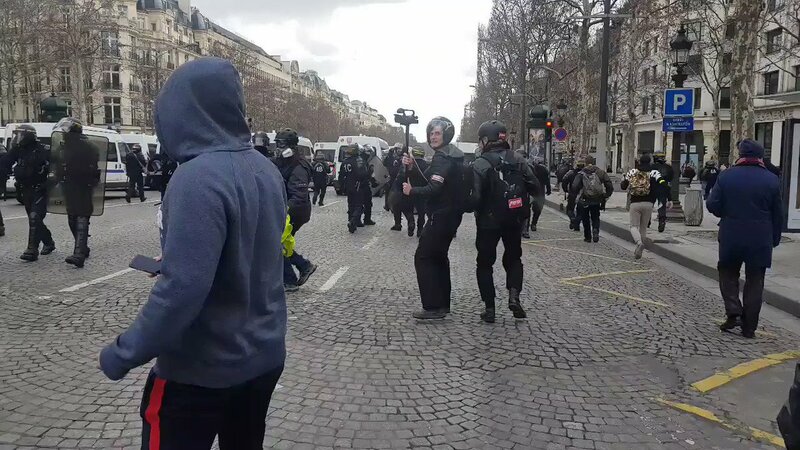 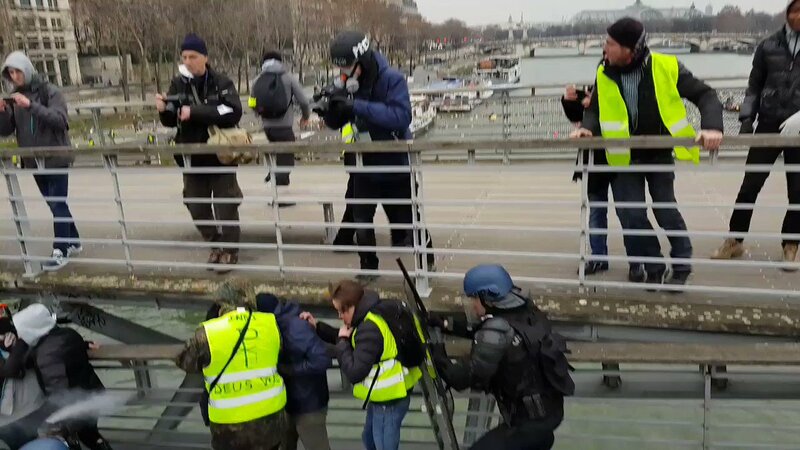 Violent arrest of a #GiletsJaunes in Rue de Rivoli, #Paris. 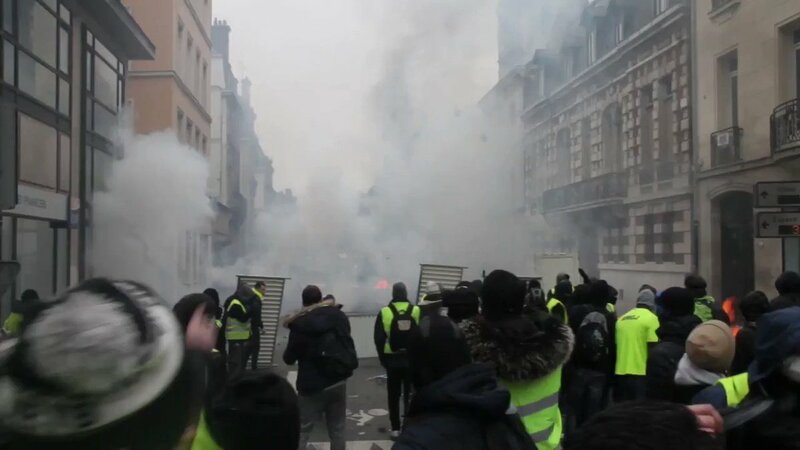  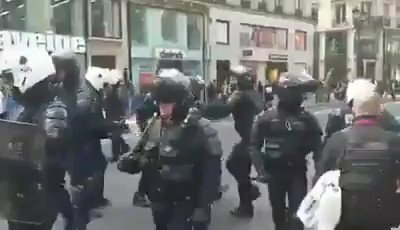 Multiple Tear Gas grenades have already been used by Macron Regime Forces. 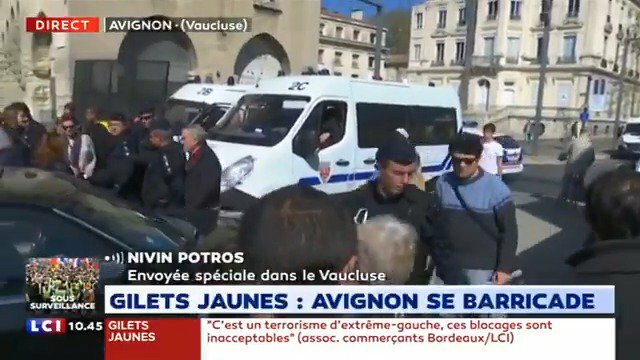 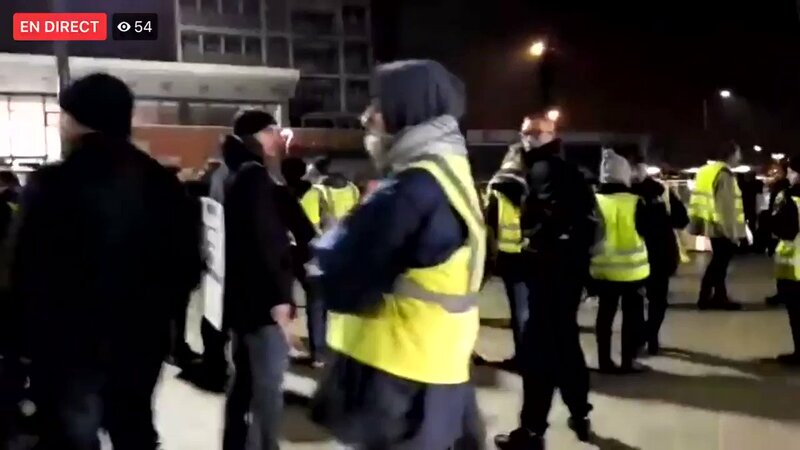 🚨 #France ℹ #Rouen: the police station Beauvoisine is barricaded! 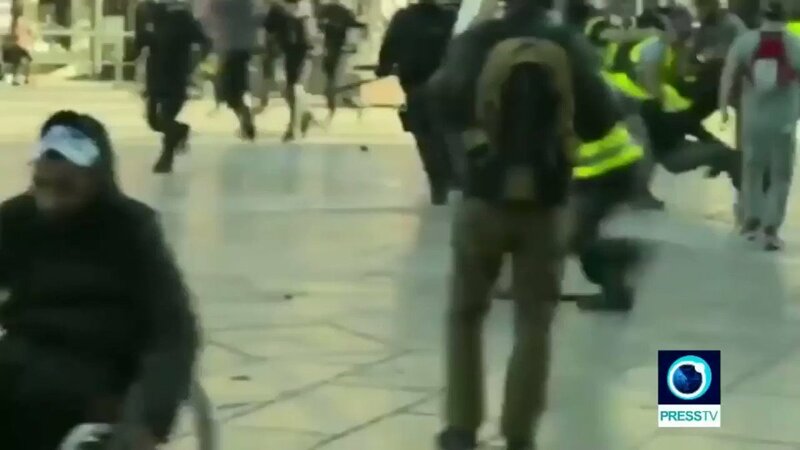 Appalling footage emerges from France, where French police hit a female protester on the back of the head with a baton before dragging her away. 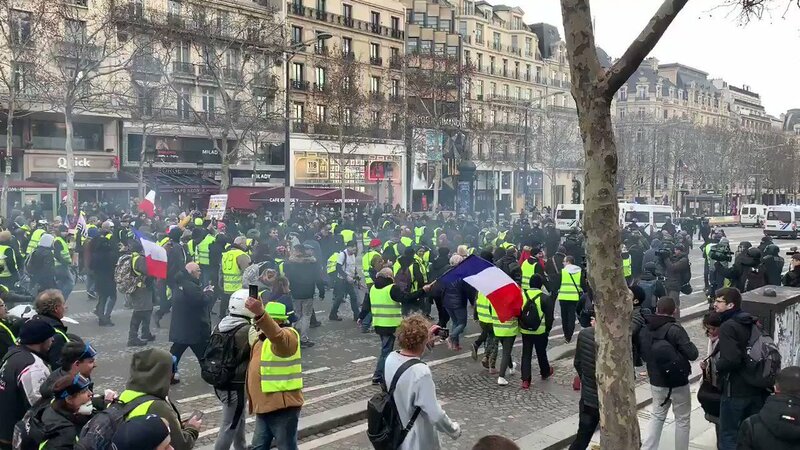 Why isn't the EU condemning President Macron for these widespread human rights abuses? 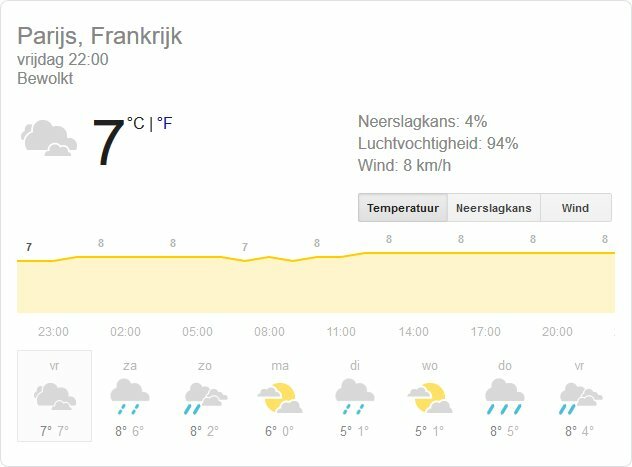 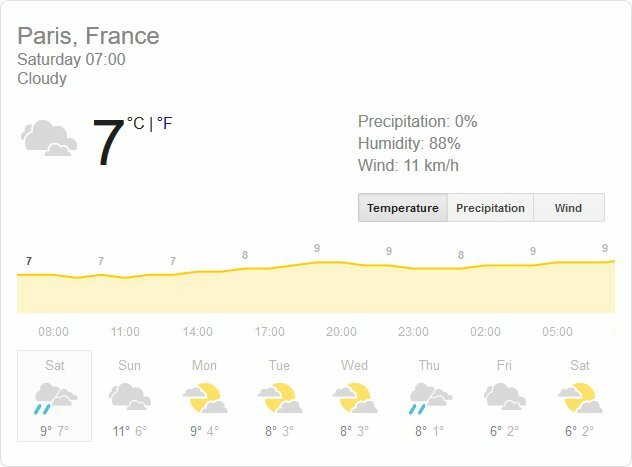 #Update: weather of in Paris tomorrow "Rainy day with lots of clouds" and cold 8 degrees Celsius! 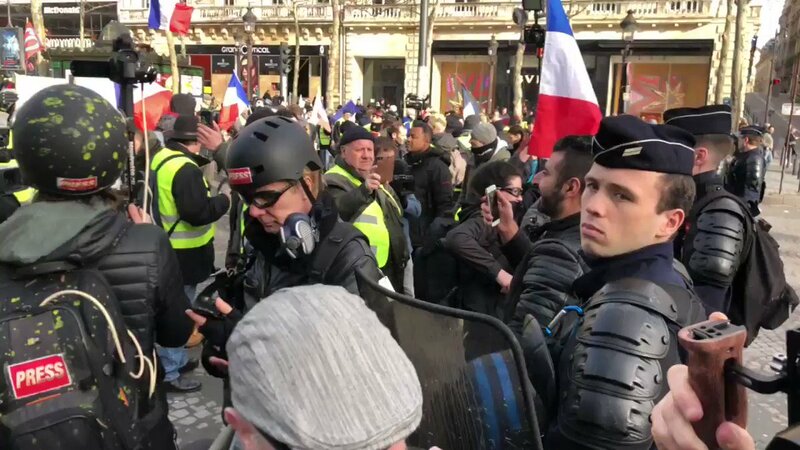 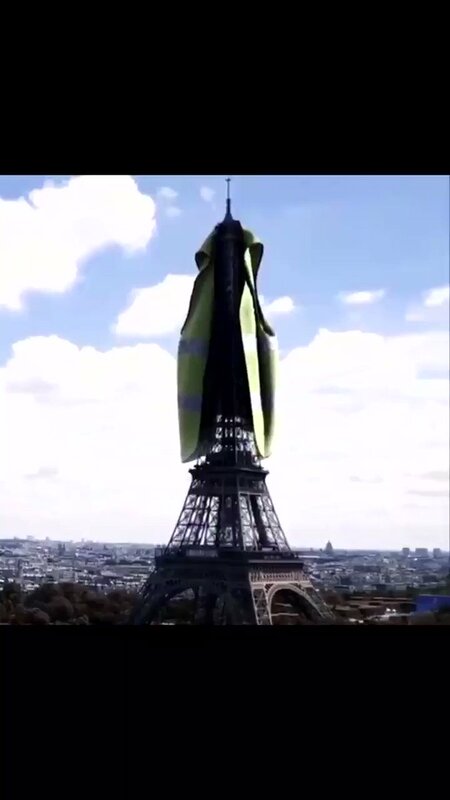 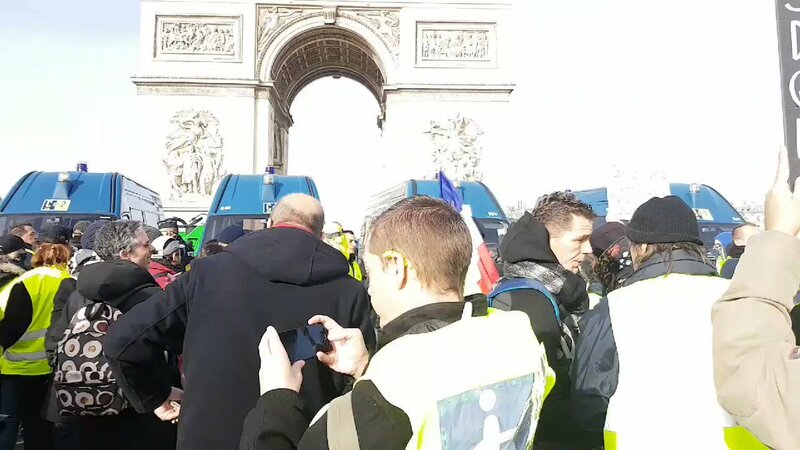 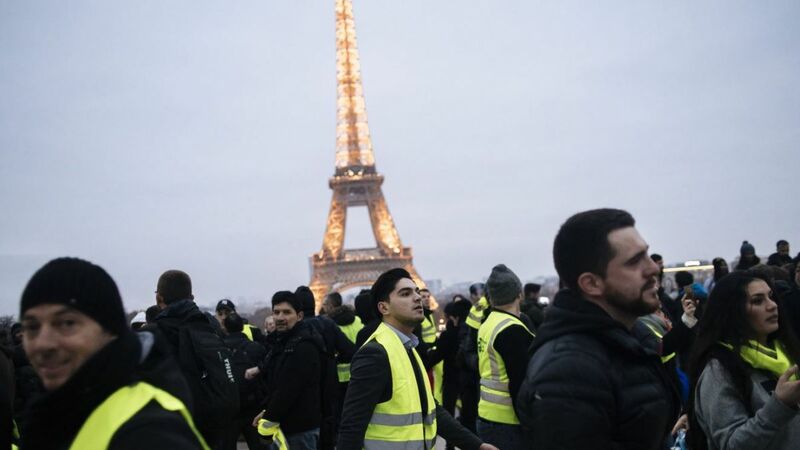 #GiletsJaunes Medics prepare for expected Police Violence in #Paris. 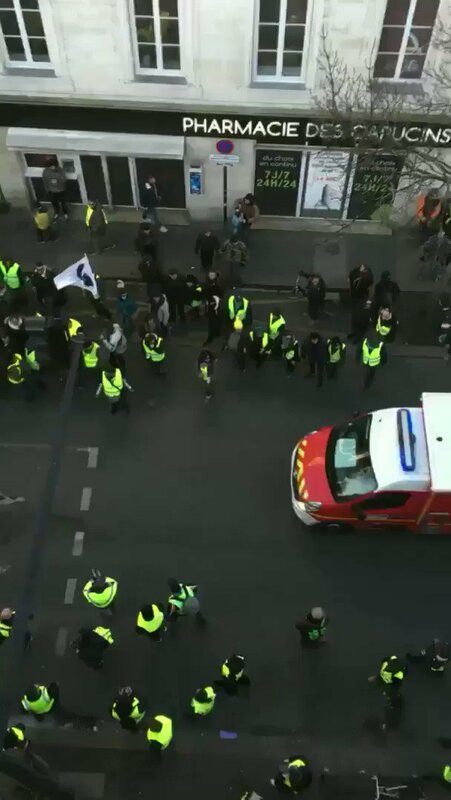 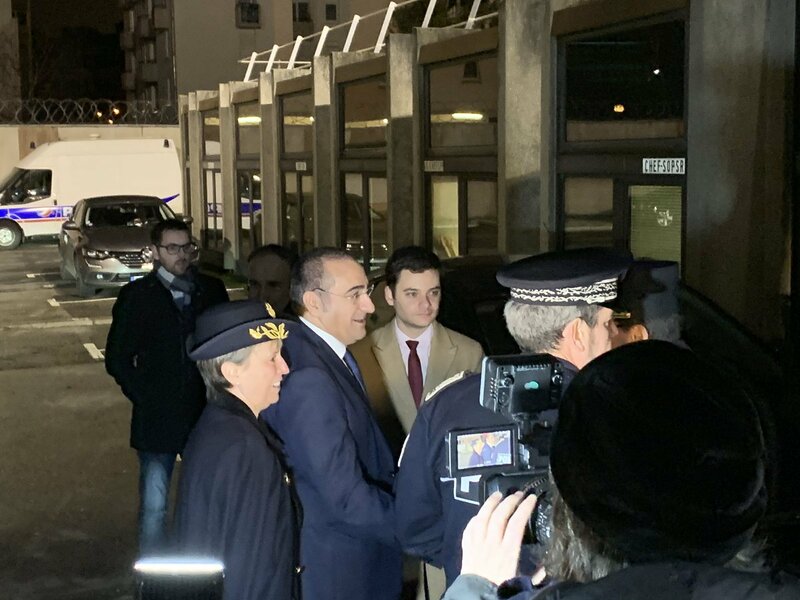 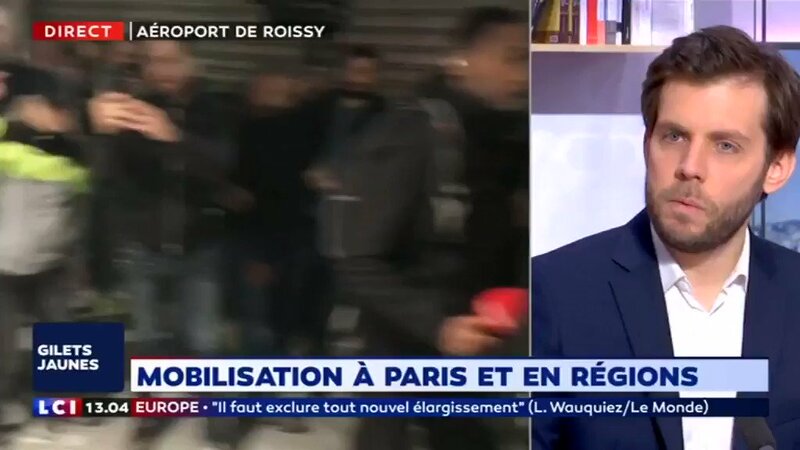 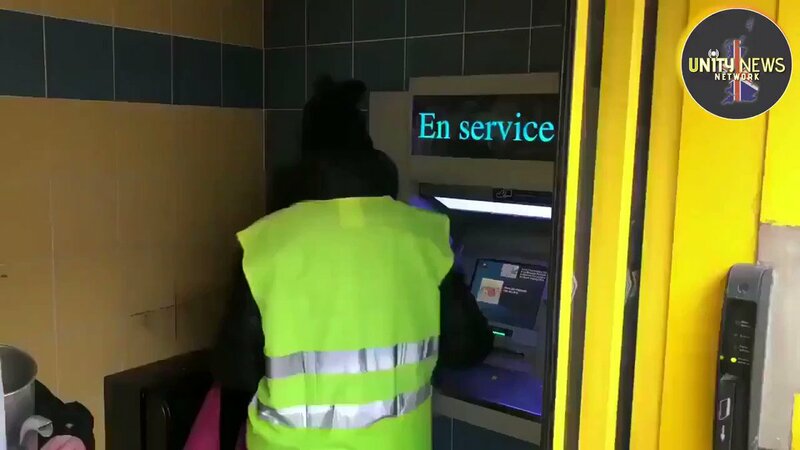 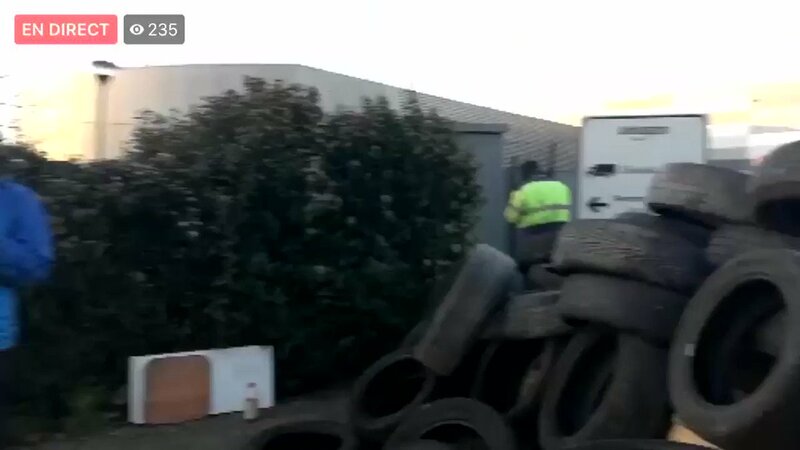 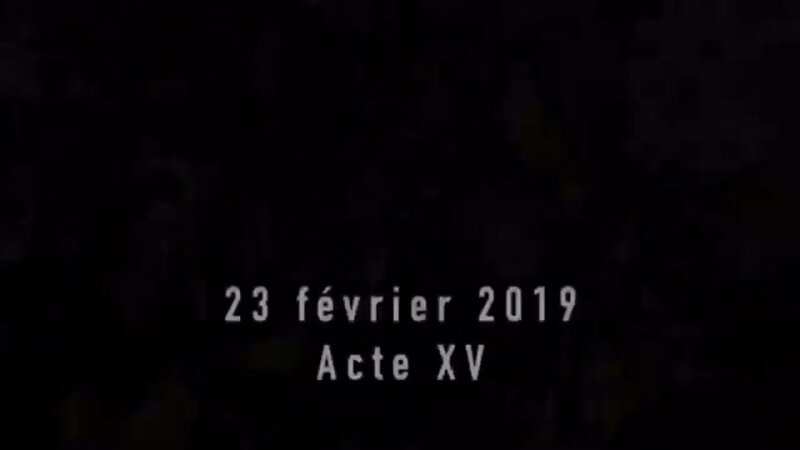 #Update: The Secretary of State to the Minister of the Interior "Laurent Nuñez" is at the #Rouen Police station before the start of #ActeIX of the #GiletsJaunes protests. 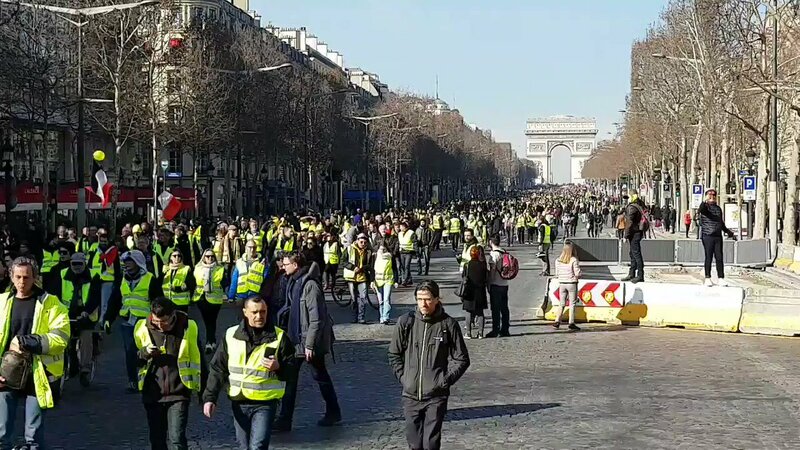 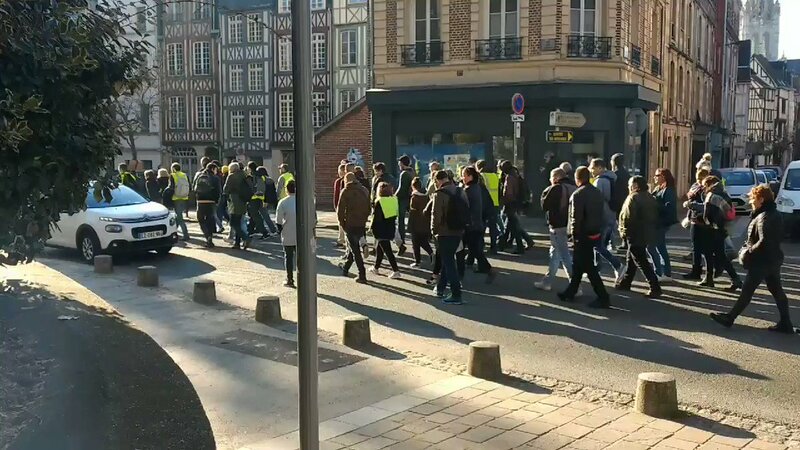 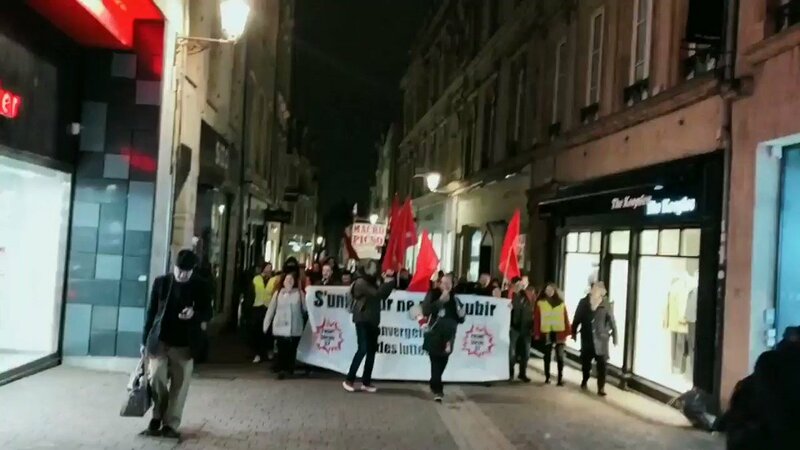 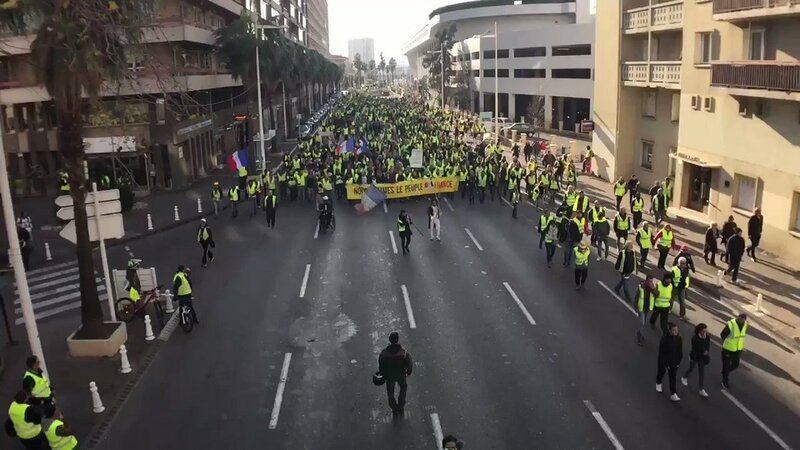 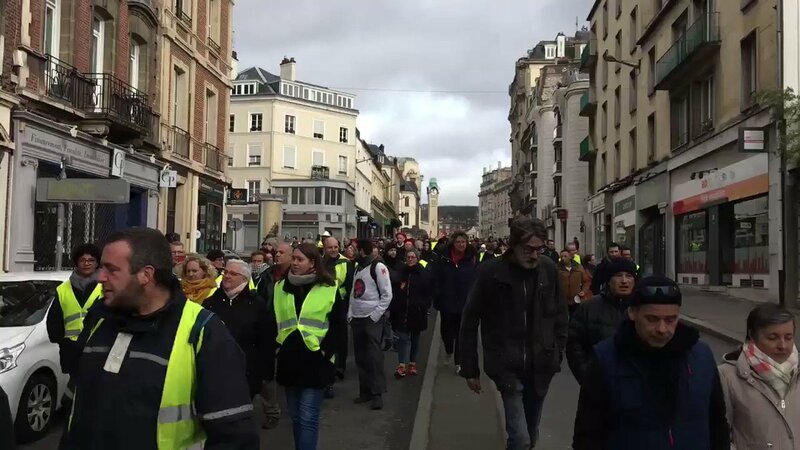 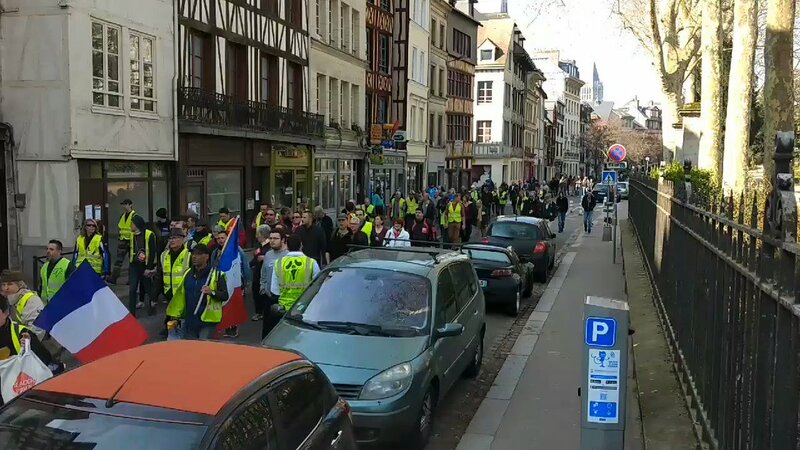 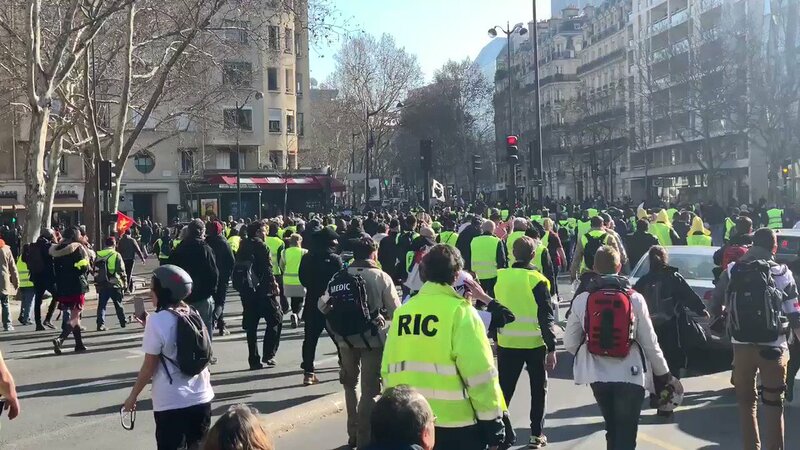 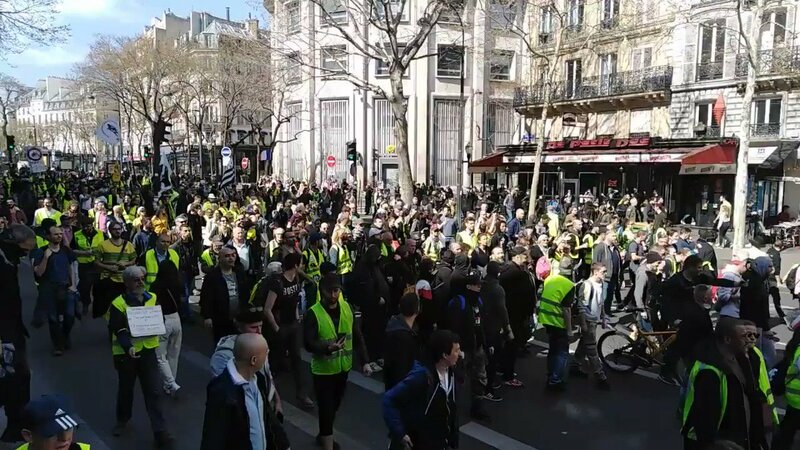 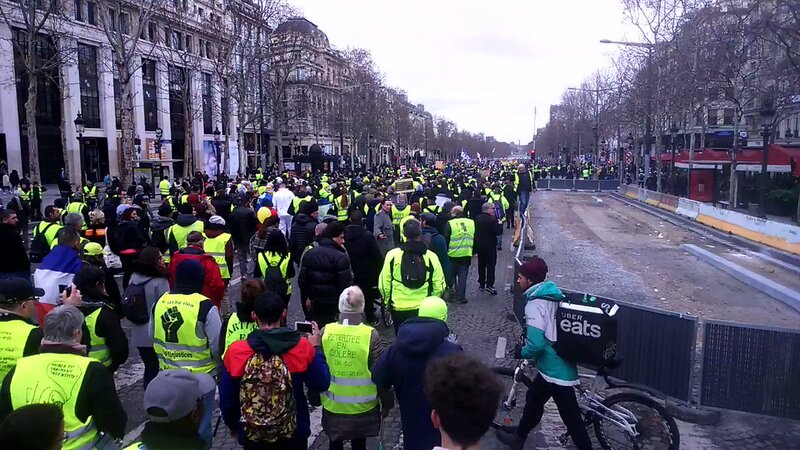 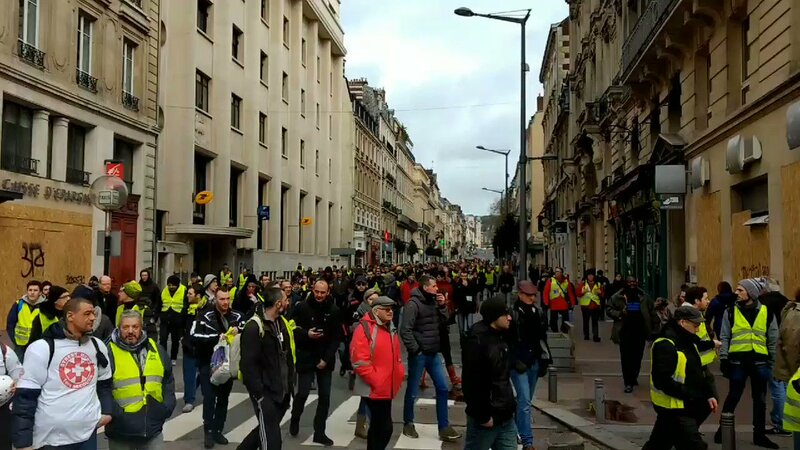 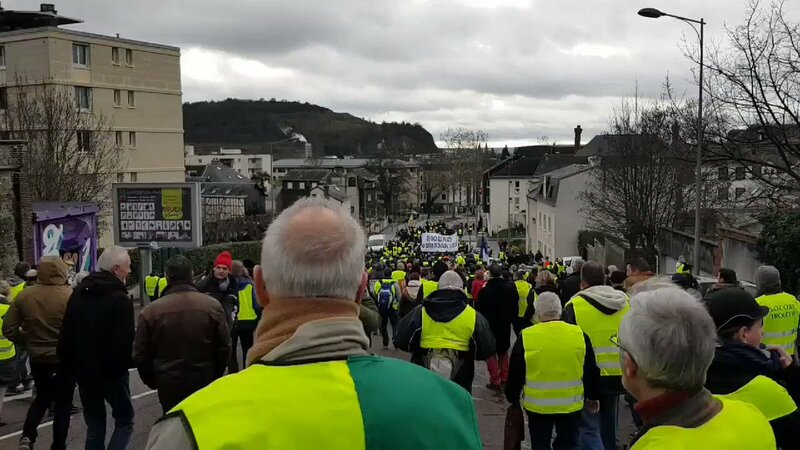 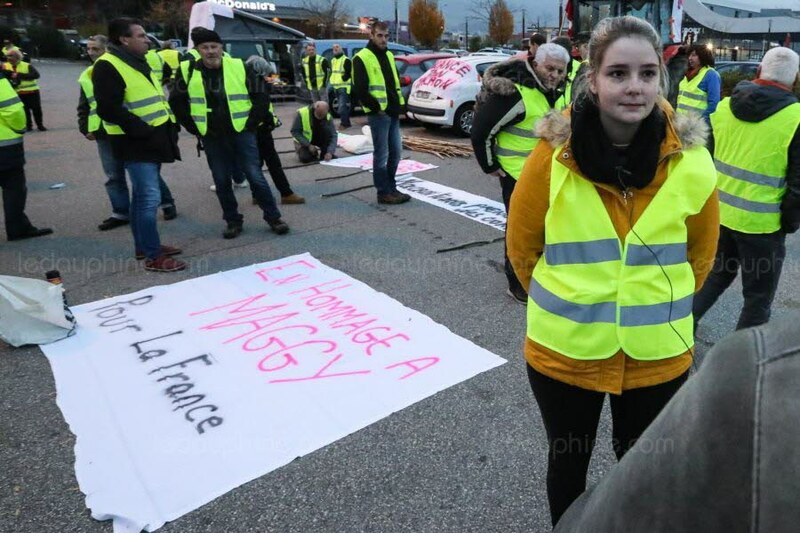 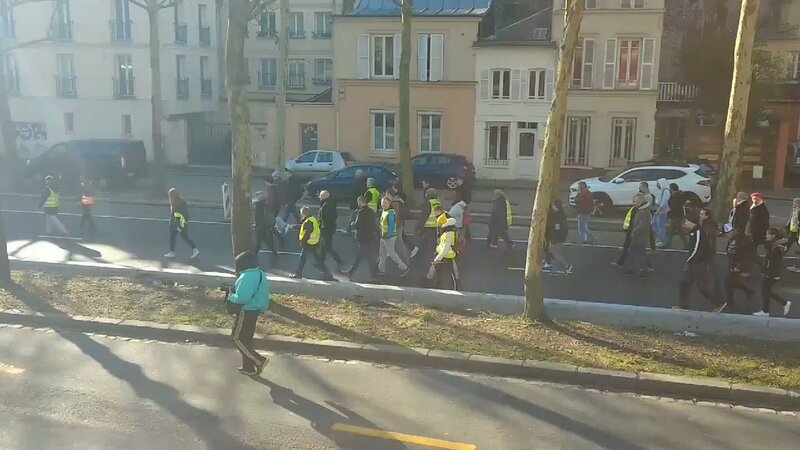 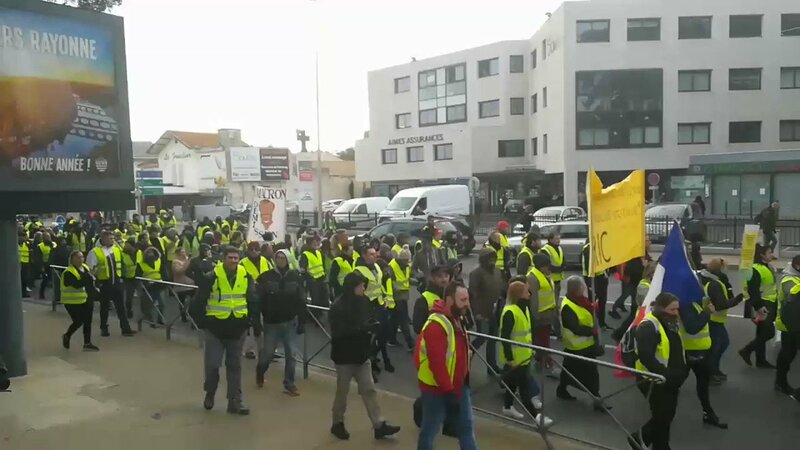 #GiletsJaunes march in #Lyons to protest against #Macron's disastrous Neoliberal policies which have caused so much widespread poverty and human misery throughout France.